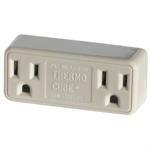 Low profile design (only 1-1/4” tall) minimizes wind resistance. 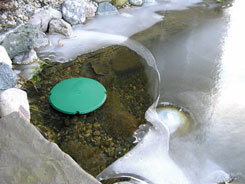 Designed to keep a small area of ice open to release harmful gases. Thermostatically-controlled to operate only when necessary (water temperatures below 42 degrees).